This is a “must-see” video. CLICK HERE, or click on the image below to watch the video, hosted by YouTube. 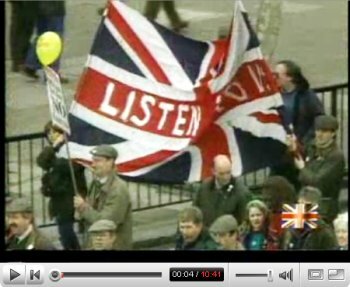 Other NRA-produced videos are available on this webpage. Share the post "Important Video About UK and Australian Gun Laws"
The St. Thomas Sportsman’s Club in Pennsylvannia recently held its season-ending big GroundHog shoot. 104 shooters attended the event and $2000.00 worth of prizes (and cash) was awarded. The event encompassed three stages, at 200, 300, and 400 yards, with scores totaled for the three distances. 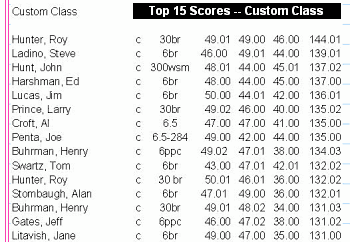 Roy Hunter posted the best score, an impressive 144.01 (out of a possible 150) to win the Custom Class. Roy shot a 30BR, demonstrating the accuracy of this cartridge on distances out to 400 yards. Ranked below are the Top 15 shooters in the Custom and Factory Classes. 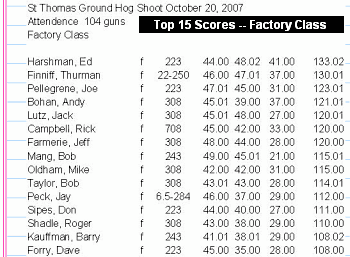 Ed Harshman won the Factory Class shooting a .223 Rem. A 22/250 and a .223 Rem finished 2nd and 3rd, respectively, while two .308s rounded out the Top Five. 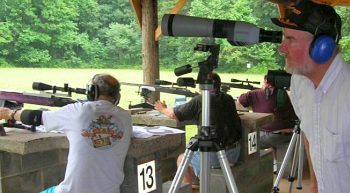 The two most successful chamberings in Custom Class were the 6BR and 30BR, but a couple 6.5s and 6PPCs did well also. These results demonstrated that among factory guns, the little .223 Remington remains a great choice, with low recoil and excellent accuracy. Among customs, we’d have to say the 6BR is still the cartridge to beat, though the 30BR is definitely capable of winning it all. Share the post "Interesting Results from St. Thomas GroundHog Shoot"